We’re a Fast, Honest, & Affordable Plumbing & Rooter firm serving our clients for over 25 years. This site is specifically designed to make you an informed client, so you will know exactly what to look for when retaining the services of a plumbing professional. 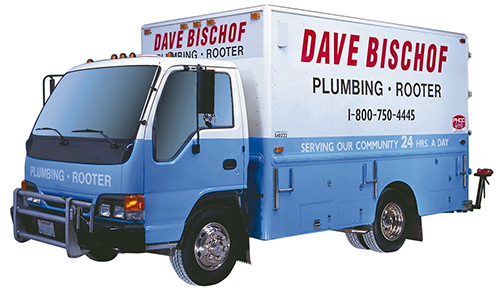 You will find that same plumbing expertise is why our President Dave Bischof is a highly sought after National Plumbing Association lecturer and educational speaker. We’ve even been recommended as “One of the Good Guys” by television consumer advocate Judd Mcillvain “The Trouble Shooter”. On New years Eve, we had a mainline stopped up, the company we contract with said at least 4 hours before anyone could come. Your company was here in less than 5 minutes and charged 5 1/2 times less!! Call me to open an account with you!